UPA chairperson Sonia Gandhi on Thursday filed her nomination papers from the Rae Bareli Lok Sabha constituency in Uttar Pradesh. As she filed her nomination, her daughter and Uttar Pradesh Congress general secretary Priyanka Gandhi took to Twitter to post a message for the UPA chairperson. "Every candidate, every politician, should learn from my mother's devotion towards the people of Rae Bareli. The motive of politics is public service and dedication. Whoever gets this opportunity, should be thankful to the people," she wrote on Twitter. 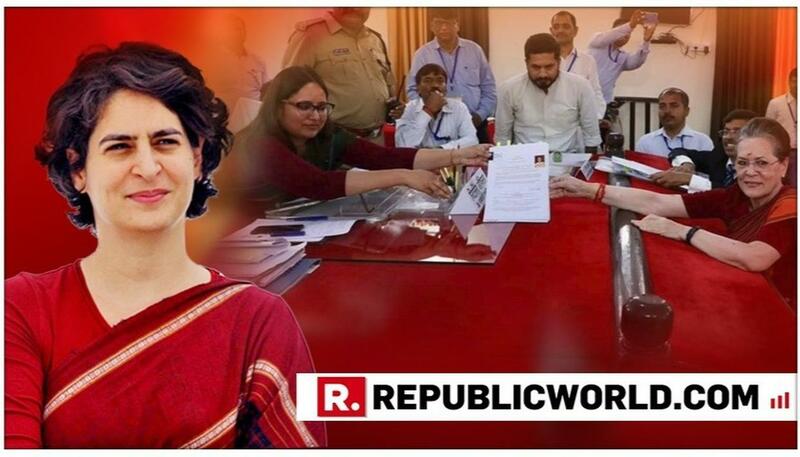 Accompanied by her son and Congress president Rahul Gandhi, daughter Priyanka Gandhi Vadra and her son-in-law Robert Vadra, Sonia Gandhi filed her nomination from Rae Bareli. Ahead of filing the paper, Sonia Gandhi also held a roadshow and offered puja at the Congress central office in Amethi. Earlier on Wednesday Rahul Gandhi filed his nomination papers from Amethi and carried out 3-km road show in the state. Priyanka Gandhi shared a picture from roadshow, expressing happiness over the bond shared by the Gandhi-Vadra family. She wrote, "Some relationships are straight out of hearts. Today, the entire family was present for brother's nomination. Our father's battle field is the sacred field for us." Sonia Gandhi (72) is seeking re-election from the seat for the fifth time in a row. Rae Bareli, where voting will be held in the fifth-phase of the Lok Sabha polls on May 6, will see a straight contest between Sonia Gnadhi and Dinesh Pratap Singh, who recently joined the BJP after leaving the Congress.